Has your building project come to a halt while you searched tirelessly for a missing part? Jewel Burks and Jason Crain, a graduate of Morehouse College, may have the answer. Burk’s grandfather whom she endearingly refers to as “Papa Bill” came to her with this problem and she has since been passionate about finding a resolution. Her answer? Partpic: a technology that uses visual search to identify and order replacement parts. Based in Atlanta, Partpic’s owners have participated in a number of tech competitions, raised over $1.5 million, demonstrated their technology for President Barack Obama’s White House Demo Day, and have recently been featured on Forbes 30 under 30. Within the Technology Design Studio we are committed to supply the tools for “the next.” Whether you have aspirations to be a leader in technology or design our resources are available to foster your creativity. So, who’s next? Any system of note taking (digital or otherwise) helps students master cognitively demanding tasks if it provides support and helps them save, search, and share. Google has released the final version of its Android 6.0 SDK. Called Android Marshmallow, the software is now final and in the hands of those subscribed to Google’s Android Preview initiative.Google usually holds back on confirming what the next build of Android will be called for obvious reasons; people speculate about what it will be called for months and months and months, causing a steady stream of blog posts, articles and tweets. You have heard of Dropbox, Google Drive, or some form of cloud storage service by now. Now there are personal cloud devices, with unlimited free storage! Videographers, photographers, graphic artists, music programmers and producers can now backup their large project files and raw footage on cloud storage devices. Essentially technology has provided us with the affordable ability to have a personal network attached storage (NAS) device on which to store and/or backup files. Some examples are: Western Digital’s My Book Live, the LaCie CloudBox and D-Link’s ShareCenter 2-Bay Cloud Storage 2000. Connect remotely, locally, or through video game consoles (depending on your hardware). Share files through a secured link. Obtain remote access via mobile apps across platforms. When considering your purchase, make sure the hardware you’re purchasing is compatible with the operating systems of your other devices. *Remember to always keep a backup of your backup. No longer solely dependent on public cloud servers like Amazon and Google. 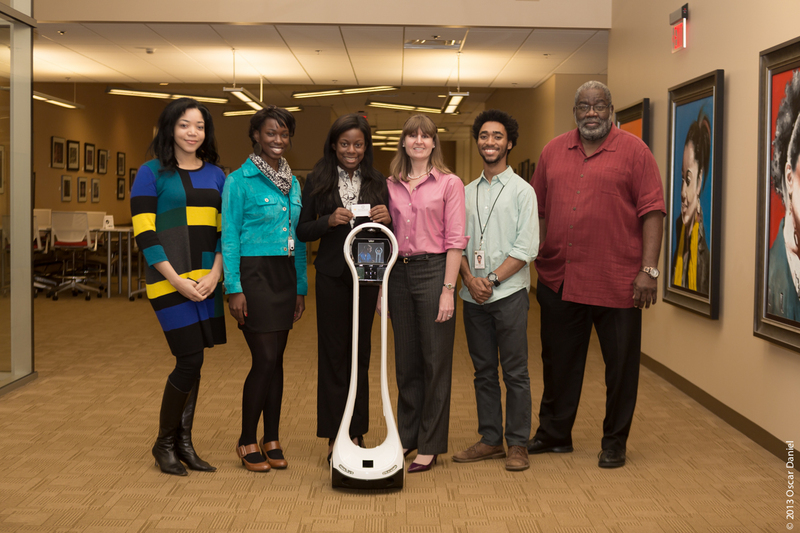 Earlier this semester, Woodruff Library introduced to the AUC our newest addition, VGo. VGo is a mobile teleconferencing robot that has been used for a variety of purposes by doctors, students, and remote workers, allowing each to communicate from a distant location. During the first half of fall semester, the AUC Woodruff Library hosted the “Name that Robot” contest. This contest was developed in an effort to rename VGo. Well, we are pleased to announce that a selection has been made! After submitting the name “Sparkmore,” Christina Stanley, biology major at Spelman College was selected and crowned winner. Name that Robot contest winner! Being that Sparkmore’s (the robot formerly known as VGo) intended purpose is to enhance the student library experience, the name bestowed upon the robot needed to reflect that purpose. What, you may ask, is the reason behind Christina’s name suggestion? She felt that merging the names of AUC institutions would further emphasize each school’s belief in inclusion. Here, at Woodruff Library, we are all about ensuring that no student feels excluded. If you happen to see Christina Stanley around campus, be sure to congratulate her on a name well chosen! Add a creative touch to your holiday table by designing place cards for your dinner guest. Have you captured special moments throughout the year? Give the gift of memories to family and friends by creating a slide show. Add a festive touch by accompanying the slide show with your favorite Christmas carol. Creat Christmas cards with your personal touch using Photoshop and Illustrator. Personalize them by including a picture of you and the recipient. Photoshop and Illustrator are also wonderful tools when creating shapes and illustrious backgrounds. Here’s a link to our favorite Christmas card template created by Phonuts. Click Here. There’s no need to stare at a generic desktop all day. Use Photoshop to design your own holiday wallpaper and bring your desk to life! Add pictures of family and friends—or your favorite pet. Note: Creating a desktop wallpaper of your family and friends is a great way to keep them close without cluttering your desk. Start with this rockin’ red wallpaper. It’s final exams time in the AUC, which means our students, faculty and staff will be burning data and doing rapid-fire information consumption. We wonder – how do they use technology during this high-stress, fast-paced time of year? From the vantage-point of the Technology Design Studio desk, we have a great spot for people-watching. We can casually monitor behavior and draw conclusions as to how our users survive finals. During mid-terms, we noticed our students access their campus learning management systems more often in the scramble to submit assignments. Clark Atlanta University uses BannerWeb and WebCT; Morehouse College uses Tigernet, their own version of WebCT; Spelman College uses both WebCT and Banner Web; and the Interdenominational Theological Center uses Moodle. WebCT is now owned by Blackboard, so essentially, most of our schools use Blackboard and are currently weathering the changes that arrangement has wrought. and cleaning out in-boxes on our desktops, where it’s easier to see on the large screens and perform mass deletions. We see students using the Microsoft Office Suite for MAC (Word, Excel, PowerPoint) more often. They’re writing, proofing, editing, and printing papers, running formulas and preparing presentations. THEY USE TIME MANAGEMENT APPS. We also hear more alarm bells ring on students’ devices, see more folks looking at calendar applications, and get more requests for locating the time and clock functions on the iMacs. Physically, we notice a new phenomena – students bring piles of books and journals and spread out their learning materials in front of a beautiful iMac station. Large groups of students cluster around work terminals to work together. Thank goodness our chairs have wheels and we have the space. Demand for our reserved rooms spikes as students compete for collaboration space, too. Woodruff Library users consume power. 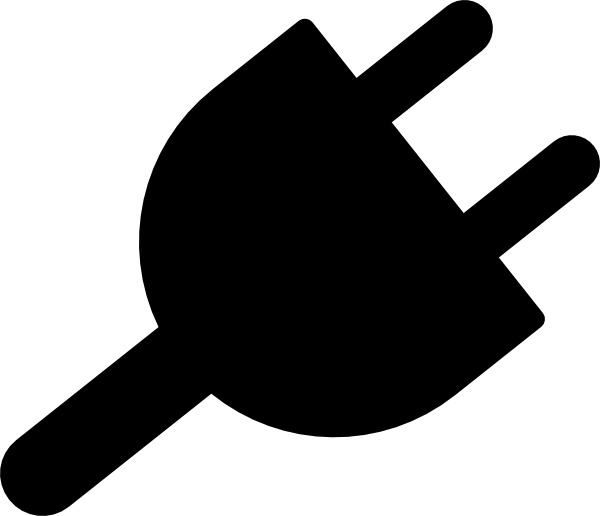 More students come into the Library and plug-in personal devices for charging. During our renovation, Library administrators worked with contractors to ensure more outlets were available to users. During Finals, those outlets become precious. In our area, students use them while working on iMacs. No matter how our users take advantage of our technology, it’s interesting to see how and why they do it. 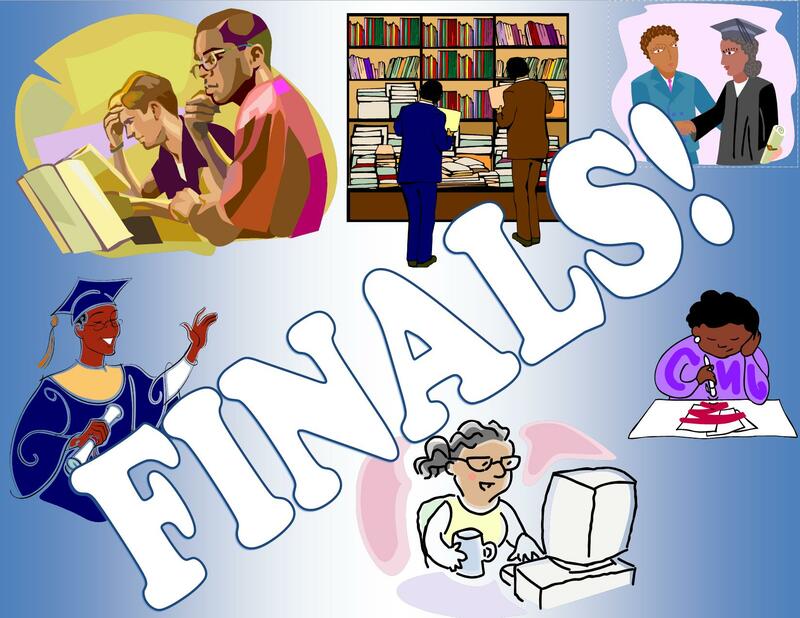 What changes do you notice in Library or the Technology Design Studio during finals? As finals quickly bring about the end of Spring semester, some of our favorite regular users are preparing to graduate or go home for the summer. We wish the whole AUC community a great summer and congratulate everyone on finishing out strong. It’s been a great year. Stay connected and keep building those technology skills.